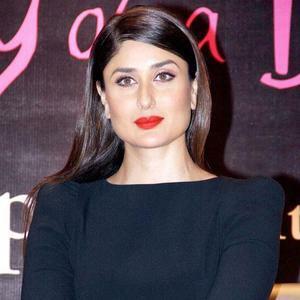 Bollywood divas seems to rock everything they carry be it red lips, black dress, saree or just a simple jeans and top.. They look great in everything! Today I thought of doing a compilation of ten actresses who rocked the red lips. Red lips has always been a trend in the fashion world, some carries it off effortlessly while others don’t carry it well but this compilation is about who carried it well. Let’s see who rocked it the most..
Sonam had to be first on this list as she is seen sporting red lips in numerous events and rocking it everywhere! Sonam is a diva when it comes to fashion, she keeps herself updated on new trends so how can she miss sporting red lips when it’s so much in trend nowadays. You might be wondering why I am putting all the Kapoors first, this is because Kareena and Sonam has rocked red lips the most! What do you think, isn’t Kareena looking outstanding in the above pics? Chiseled cheekbones, perfect red pout, and gorgeous eyes, she’s got all to rock the red lips. 3.Chitrangada Singh: I think only Chitrangada can rock both red lips and smokey eyes together. It is often said that red lips should only be paired with n*de eyes i.e both eyes and lips should not look loud at the same time but Chitrangada did reverse of this and rocked this sultry look effortlessly in an event..
4.Priyanka Chopra: This is the only nice pic of Priyanka Chopra I could find in red lipstick. She has sported this look on an airport but she completely rocked this casual look with bold red lips. 5.Anushka Sharma: Anushka has sported this look in Filmfare Awards. When I first saw her in this look, I was like wow.. she looks gorgeous and I kept coming from my study room just to see her in that award function. But I only got to see her twice or thrice, I couldn’t sit in front of t.v for long just to see her glimpse because I had my exam the next day. So didn’t get to see her much that day but now I’ve captured this pic of hers for you all to see how lovely she is looking in this look. 6.Alia Bhatt: How can I miss this upcoming movie star from this list! Alia is looking gorgeous in the above pic. She is not seen much in red lips but she completely rocked this color and looks so fresh at the same time.The above pic is from a photoshoot done for Vogue mag. 7.Nargis Fakhri: Nargis Fakhri is looking like a rock star in this pic, so fresh and bold. And her lips- I would say she has a perfect pout! 8.Aishwarya Rai: Aishwarya has sported this look in Cannes. She’s been sporting red lips from times immemorial (the time when red lips were not even so popular) that’s why she has become an expert in carrying red lips so well. 9.Katrina Kaif: The only pic I could find of Katrina in red lipstick is this one which is quite old as she has changed a lot since then, but she is definitely looking gorgeous here. Deepika is out of this world in terms of fashion and beauty, she carries all her looks with perfection be it in a saree, bold lips, smokey eyes or bold brows. Her features are beautifully defined and she is completely rocking the red lips in the above pic with a matching gown. So who do you think rocked red lips the most? For me, I liked Deepika, Sonam and Kareena the most. I definitely liked Deepika and Kareena the most. Katrina hardly wears make up – hence the difficulty in finding a recent picture of hers with red lips. Although all do look great. I agree that Bollywood actresses can pull off anything and everything! I was thinking to do a post of actress with bangs and straight hair separately.. Ours opinion actually match!! 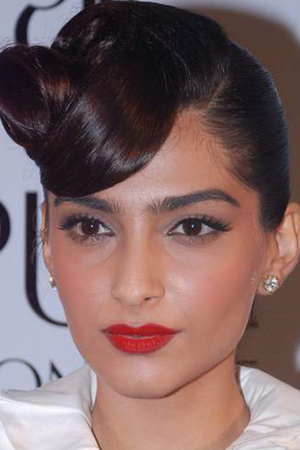 Sonam looks best with red lips to me, all beautiful women. Yeah..Sonam is the best when it comes to fashion. Wow, very beautiful! I love red lip-stick, the red brings out the lovely skin color on the women, making their skin look flawless. So true..red colour is evergreen.. Very nice post dear, love Chitrangada, she looks good all the time. It suits Kareena to the core. Lovely post! p.s i liked pink lip stick so much pls do upload more n more stuff like this..